Lennox heat pumps are a top-5 brand and a favorite of environmentalists because the top models can be powered by solar energy. The Lennox Signature Series heat pumps are on par with Carrier Infinity, American Standard Platinum and a few other “best of the best” lines. This overview of the Lennox heat pumps lineup gives you essential data you can use to compare features and heat pump prices with other brands you are considering. See our individual heat pump reviews for more details. 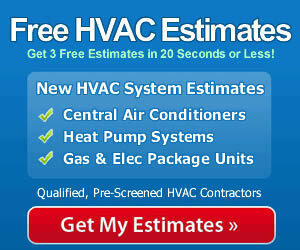 We include HVAC prices in all reviews, so you’ll have the data required to make an informed decision. Like many top manufacturers, Lennox makes 3 lines of heat pumps. The top line is the Dave Lennox Signature Series that is highly-rated, very durable and efficient, and quite expensive. The Lennox Elite and Lennox Merit Series are more affordable with lower efficiency and in some cases, lower performance. The point is there are choices given your budget, how long you plan to use the heat pump and how efficient it needs to be in your climate. Dave Lennox Signature Series heat pumps: There are 2 models and both are 2-stage Energy Star heat pumps. The Lennox Signature Series XP21 (19 SEER, 9.5 HSPF) and the Lennox Signature Series XP17 (17.7 SEER, 9.5 HSPF) are a good fit for very warm climates. Because they are dual fuel models, they are also ideal for very cold climates where they can alternate heating with a gas furnace. For enthusiasts of green technology, these models are popular because they are wired to accept the Lennox SunSource solar modules that can power the entire HVAC system and even generate enough extra power for lighting or other uses. The modules are a significant upfront expense but can reduce use of non-renewable resources to zero and eliminate energy costs too. In a sunny climate, that’s worth considering. Dave Lennox Elite heat pumps: The models are the Lennox Elite XP16 (16.5 SEER, 9.5 HSP), the Lennox Elite XP14 (16 SEER, 9.5 HSPF) and the Lennox Elite XP13 (14.5 SEER, 8.7 HSPF). The XP16 is a 2-stage heat pump. It and the XP14 are Energy Star rated. They are backed by a 10-year compressor and 5-year parts warranty. They are a versatile choice for climates that aren’t extremely hot or cold. Dave Lennox Merit Series heat pumps: There’s quite a bit of difference in the quality and price of the Signature Series and this one. Lennox tries to cover all the bases, and Merit Series models are popular with homeowners who need a 10-year heat pump with plans to move down the road. They are also chosen for use where lower cost trumps efficiency or top of the line quality. The models are the Lennox Merit 14HPX (14 SEER, 7.7 HSPF) and the Lennox Merit 13HPX (13 SEER, 7.7 HSPF). Which Lennox Heat Pump Should You Choose? If summers are very hot where you live, consider a high-efficiency heat pump like those in the Signature and Elite lines. The dual fuel Signature models are ideal for cold climates and they are worth a look in sunny climates where solar energy is more cost-effective. In moderate climates without extreme temperatures, the Elite Series is very popular. When low cost is the key factor in the decision, the Merit Series models get a good look. Lennox gives you choices for your heating and cooling needs. From high-tech and highly-efficient to basic and reliable, there is a model in the Lennox heat pumps lineup that will serve your purposes very well.